Trees carry powerful symbolism through human history. They represent the family and connection to our ancestors. It means life, strength and growth. Tree of Life is a symbol present in many cultures. The depiction of a branched out tree deeply rooted in the soil, show the celebration of Sun as father and soil Earth as the mother. This symbol represents the unity with the world around you, ability to become part of the community and connect with your surroundings. In other, more substantial aspects of life, the trees carry similar value. They are providers of food and oxygen. Our everyday life is full of tree-products. However, seeing a tree in nature is irreplaceable with the picture or an object. Having them in your backyard will enrich your life with positive energy and empowerment. And here are the 5 reasons why. With their shade, trees decrease air temperature which is especially felt in the summer. Their leaves help water evaporate which removes heat from the air. This is the reason construction industry uses trees as to cool the asphalt and other surfaces. Driveways, building and sidewalks are the most common places where they serve this purpose. Additionally, they also reduce the heat during the night since hot air evaporates and climbs higher into the atmosphere. You probably found yourself looking at the swaying treetops in the wind many times. This is because looking at them can have a calming effect and help you organize your thoughts. Rustling leaves during the night will help you fall asleep faster. If you haven’t planted trees in your yard yet, you can download some of the apps with sounds of trees during windy or rainy days. This is also great when the colder months arrive. Fragrant trees like European larch and linden will engulf you with fresh and sweet smells. Such is the scent of Balsam Poplar during spring. Its leaves carry musk or honey smell. Many animals build their homes in and on the trees. Some depend on them to provide shelter, food and nesting place. This is a very important fact which, unfortunately, became a significant issue in the several past decades due to environmental changes. Extreme weather conditions can be hard on treetops so you should take action to protect your trees. Also, carefully examine them for the presence of animals and contact an animal rescue to make sure they will be safe. You can ask them all you want to know and get advice how to take care of the animals yourself. Additionally, you can offer to provide temporary shelter and care. 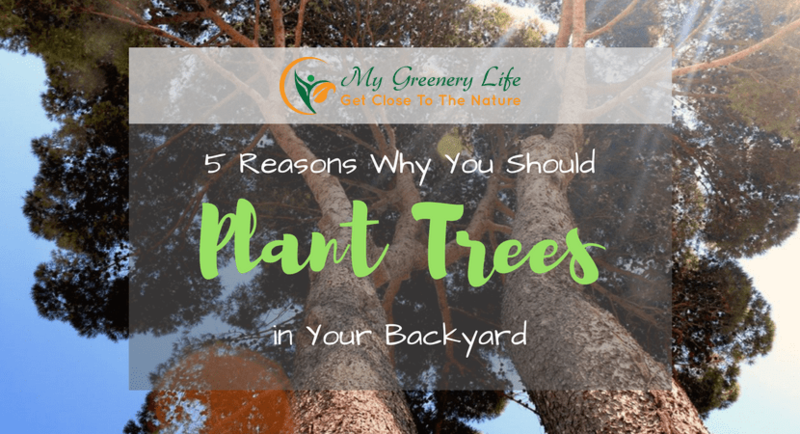 If you want to create a stylish heaven in your backyard and garden, then you have to include trees. Garden designers know what type of trees is best for the climate and to plant them at the right spot. For example, if you carefully plan the position of your trees you can reduce noise even by 40%. Trees can increase the value of your property, and yet will be among the least expensive things in your landscape. They will impress your visitors and are always welcoming in the community to the production of oxygen and natural shade. 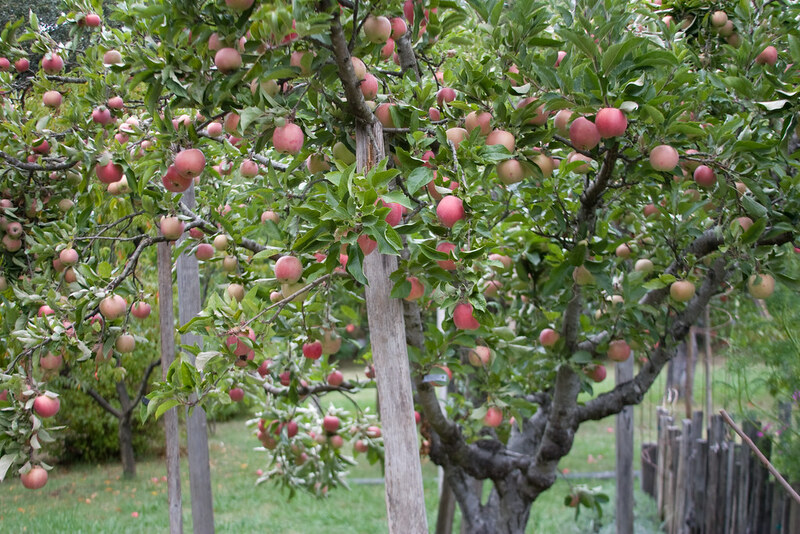 Many households have a tradition of keeping fruit trees in their gardens. Cherries, walnuts and apples are only some of the most commonly encountered. Avocado trees are excellent for climates with the warmer weather, as are lemon and orange trees. You don’t have to have an orchard to enjoy these lively fruits. You can plant some only for your needs. They don’t require much special care except to protect them from pests and harsh weather. You can use organic products to keep them safe from insects, as well as you can let them normally grow as they would in nature. Trees are so wonderful than Japanese culture developed a practice to grow miniature trees in containers called bonsai. Many nursery gardens offer smaller versions of apple, pear or peach trees which grow in pots and are perfect for apartments. Trees are a significant part of the human culture, that they’re present in religions, art and literature, like Ents in Lord of the Rings trilogy. As such an integral part of our lives, we must take care of them and respect them accordingly.